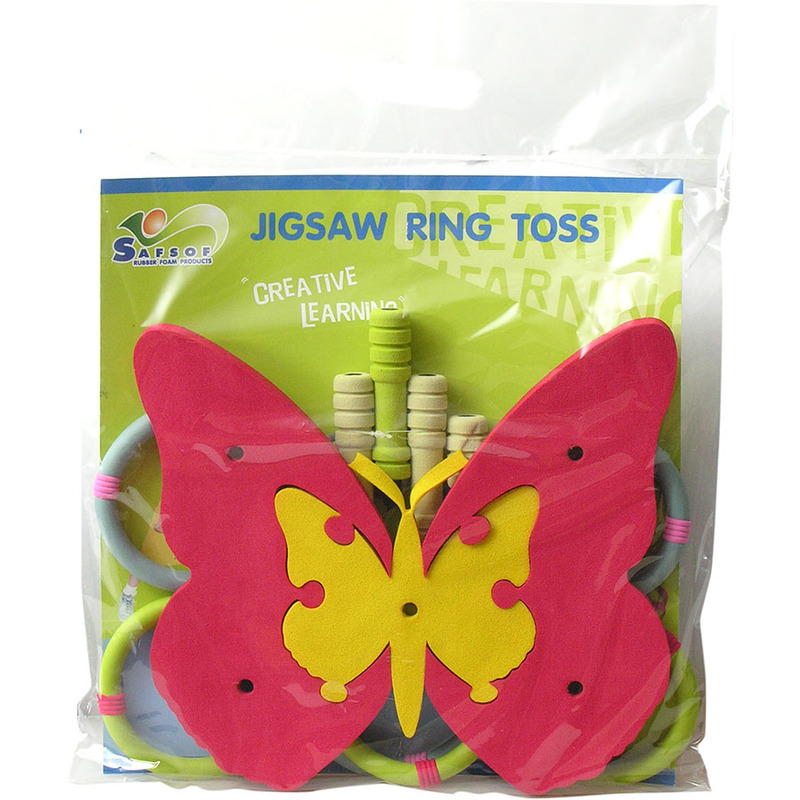 Toss the rings to Butterfly Jigsaw Poles. 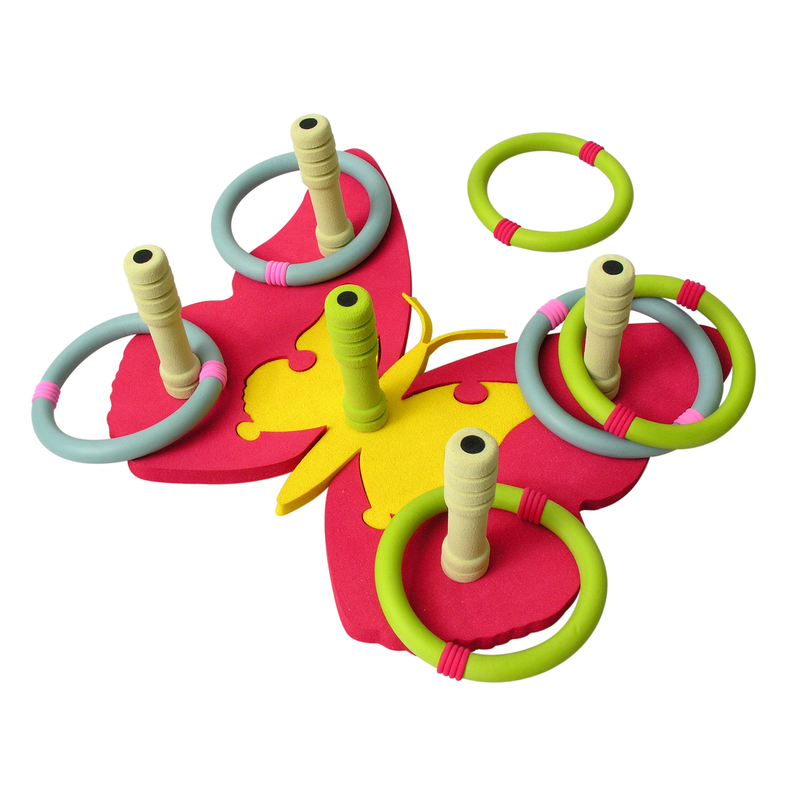 Split the Butterfly Jigsaw Base into 3 pieces in different position as alternative play. 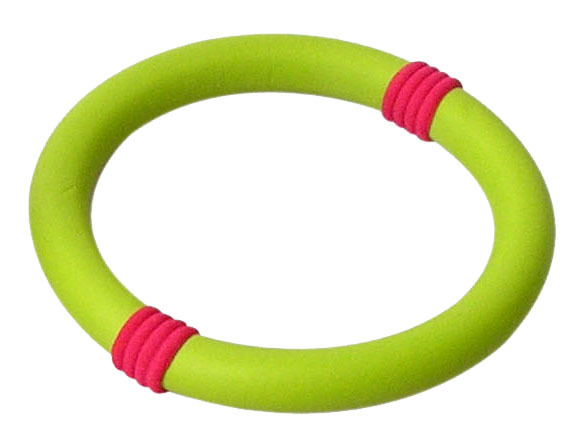 You can play everywhere you need, indoor, outdoor or even in the pool.